Lexus, Toyota`s luxury subsidiary, is planning to introduce the high-end 2016 IS to Australia this autumn, the cheapest IS200t Luxury model costing 57,500 AUD. The IS200t Luxury will come with a lot of features as standard, like the adaptive cruise control power adjustable steering column, rain sensing wipers, bi-xenon headlights with LED day running lights, rearview camera, smart entry key, sat-nav, digital radio, dual-zone climate control, touch-sensitive Lexus Remote Touch and so on. On the other hand, the higher F Sport version will come with more features, like the 18-inch F Sport alloy wheels, sports pedals, adaptive variable suspension, rear side airbags, the high-end Mark Levinson audio system, lane departure warning and auto high beam and more. The Sports Luxury version will tweak the electric sunshade, wood grain trim, the moonroof or the 15-speaker Mark Levinson. 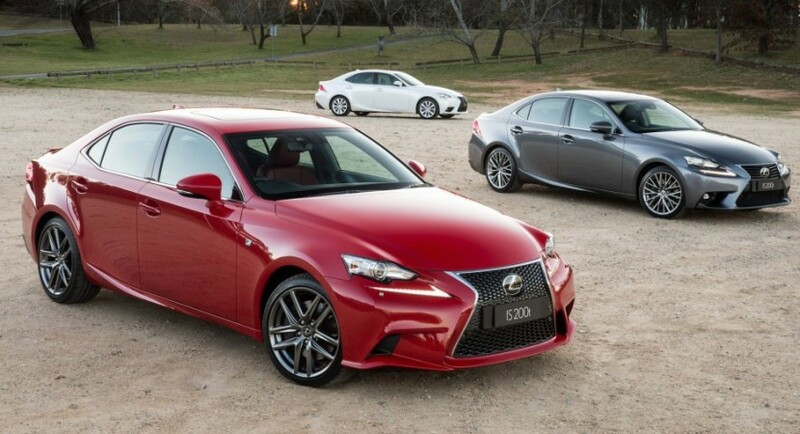 You can also find below the complete pricing list of the entire 2016 Lexus IS lineup. IS350 Sports Luxury – 82,500 AUD.